The next American polar-orbiting weather satellite that will feed long-range forecasts and track environmental trends has slipped into space-like testing ahead of launch. The Joint Polar Satellite System spacecraft No. 1 will be launched atop a United Launch Alliance Delta 2 rocket from Vandenberg Air Force Base in California on Jan. 20 at 1:47 a.m. local (4:47 a.m. EST; 0947 GMT). The project is a collaboration between the National Oceanic and Atmospheric Administration (NOAA) and NASA. From a 512-mile orbit, tilted 98.7 degrees to the equator and traveling pole-to-pole, JPSS 1 will survey the entire globe twice per day with five sensor packages. The craft will provide imagery, atmospheric temperature and humidity profiles, and land and ocean surface temperature observations, all of which are key ingredients for weather forecasting. In addition, the satellite will measure ozone levels and reflected solar radiation from the planet. 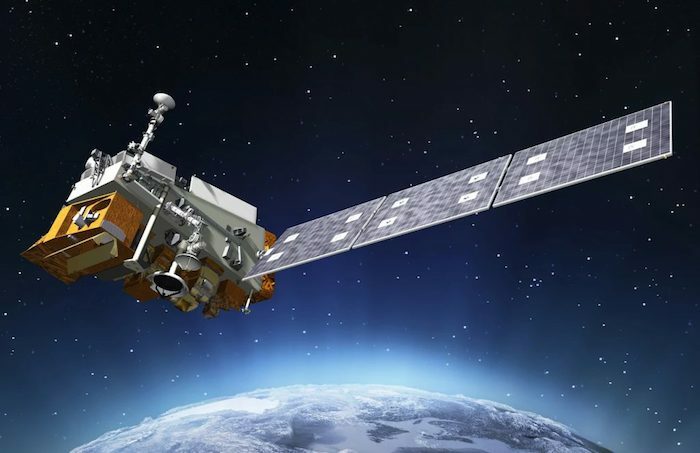 The satellite will replace the existing Suomi NPP spacecraft that launched in 2011 for a five-year mission as a gapfiller between NOAA’s legacy weather satellite constellation and the new JPSS generation. JPSS 1 will be renamed NOAA 20 once declared operational. It is designed to last seven years. Spacecraft manufacturer Ball Aerospace has begun environmental testing at the company’s Fisher Complex in Boulder, Colorado, to simulate the harsh conditions that JPSS 1 will face during its launch and once in orbit. Tests include acoustic, vibration and electromagnetic interference and electromagnetic compatibility, followed this summer by thermal vacuum testing to expose the craft and instruments to the extreme temperature swings experienced in space. All of the checks will culminate with certification that the satellite is ready to ship to its California launch site this fall. “Heading into the final series of environmental tests marks completion of the development and integration phase, on time and on schedule,” said Jim Oschmann, vice president and general manager for Ball’s Civil Space business unit. JPSS 1 will be the next-to-last flight for the venerable Delta 2 rocket.